Add (for Progressive lenses only): Choose Options Not Applicable +0.75 +1.00 +1.25 +1.50 +1.75 +2.00 +2.25 +2.50 +2.75 +3.00 For higher powers, please email us. [Adults] Fuglies RX12 Wrap Around Sunglasses : Cruiser style sunglasses combined with the ability to accomodate prescription lenses without the need for clip-ons or lens insert. Personalize them with our great selection of lens materials, lens colors and mirror coatings to suit your style. You can even transform them into motorcycling sunglasses by selecting polycarbonate lenses. Suitable for fitting sunglass prescription lenses (optional) without the need for lens insert or clip-ons. Above price is for Frame/chassis only. Optional prescription lenses available from as low as USD$60.00. Extra charge for additional coatings. For non-prescription version of these sunglasses, please click here. Note on sizing: Please compare the width of your glasses from temple to temple or the width of the user's head from ear to ear against the Total Width measurement shown above for suitability. * Note on floating - the removable foam gasket allows the sunglasses to float for up to 45 minutes until the foam becomes water-logged under full immersion. With the foam gasket removed, the sunglasses will not float. All optional prescription sunglass lenses are UV400 rated to protect your eyes from the sun's harmful UV radiation (both UVA and UVB). Optional prescription lenses available from US$60.00 (Fitted into frame). 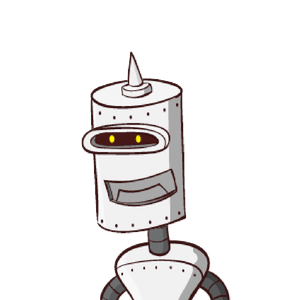 Powers available: Sphere powers up to +4.00/-4.00 with an opposite cyl of 3.00. Total Sph+Cyl power of up to +4.00/-4.00. Single Vision Distance and Progressive lenses available. Email optometrist@gogglesnmore.com for powers outside this range. What is my Pupillary Distance (PD)? Click on FAQ (top of page) for more information. Traditional prescription wrap-around lenses often cause distortion and blurry vision on the side of the lenses. Digital HD lenses are now available, with clear vision throughout each lens. 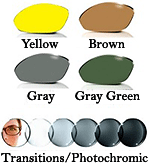 Tinted, Polarized and Transitions prescription lenses available. 100% UV protection. Polarized lenses - Fixed color tints that reduces glare reflecting off surfaces such as water and windscreens. Ideal for boating or fishing. Transitions VII lenses - Changes from clear indoors up to 70% dark gray outdoors under strong sunlight. Transitions XTRActive - Changes from light 10% grey indoors up to 85% dark gray outdoors. Why not add an extra touch of cool to your sports glasses? Mirror coatings look great and they will decrease the amount of light coming through the lenses by a further 10% - 60%. Excellent for snow, water, sand and high altitude conditions. Mirror coatings can be added to clear or tinted/polarized lenses only (not available with Transitions lenses). All prescription lenses do not come standard with antifog agents on them. For best results, we recommend using Clarity Defog IT Reuseable Anti-fog Wipes. DEFOG IT Anti-fog wipes are safe and effective on all lens types, including anti-reflective lenses. No spray needed, just wipe on dry lenses before use. Reusable for up to 8 applications. Disclaimer: When worn properly, these sunglasses are designed as protection against the sun's UV radiation only and are not meant to be used as protective sports eyewear. THE DESIGNER, DISPENSER, MANUFACTURER AND RETAILER DO NOT CLAIM THAT ANY EYEWEAR IS UNBREAKABLE OR ELIMINATES THE POSSIBILITY OF EYE OR FACIAL INJURY resulting from prolonged exposure to the sun's radiation or from participating in sports. Thanks for the good job, first of all. That said vision through the lenses are a little bit shaky. Obviously this cannot be adjusted you being far away, but I guess this is what we have to deal with when buying online.